Single rose and messy branches emerge as a focus. 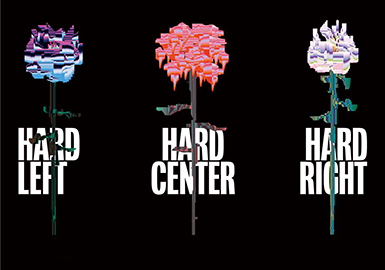 Artist David Rudnick offers freshness to floral design in a digital way, teaming with other methods to make single roses more diverse. 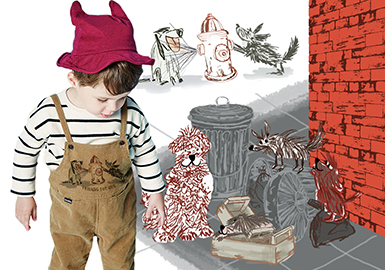 Different from the previous dog patterns, this collection features naive crayon drawings. The cute dogs are seen in friendly, playful or sweet scenes. The saucy portraits and simple sketches are distinctive.